While I was out in Seattle, I had a chance to sit down with Ben Katt, host of the RePlacing Church Podcast. We talked about my research on new churches in Seattle with a special focus on neighborhood expressions of church. How do we practice the core conviction that God is here? If you can’t find out what God is doing on your block, what makes you think you’re going to figure out what God is doing in the city? Alan Roxburgh has been writing books about how the church can respond to the massive cultural change afoot for two decades. 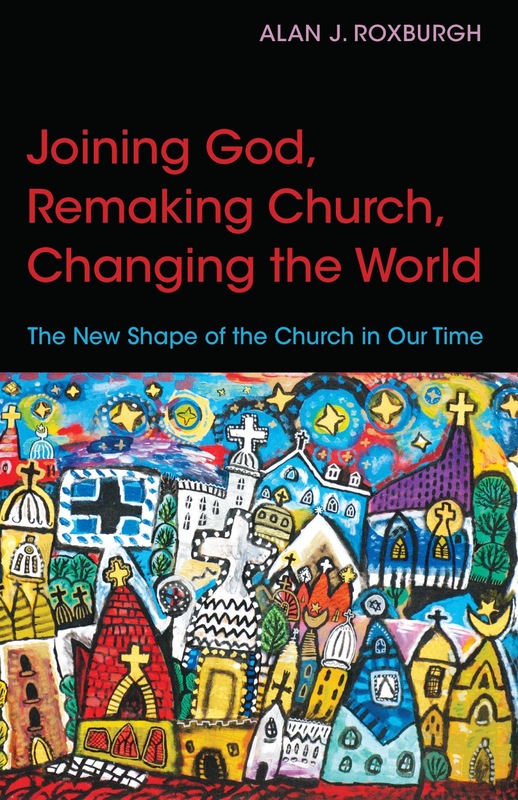 His latest offering, Joining God, Remaking Church, Changing the World: The New Shape of the Church in Our Time, culls together the wisdom of his experience as a consultant in a highly accessible, slim volume. 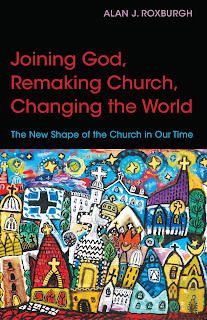 Roxburgh offers a penetrating analysis of the "misdirecting narratives" that lead to dead-ends, as well as a series of practice guides to help the church reconnect with it's core conviction, that the Triune God is alive and active in the world, in their city, on their very block. Here in Dubuque, Iowa we've been using Joining God in the formation of a new missional community. The "ordinary people of God" that make up this fledgling group have remarked at the fundamental hopefulness of Roxburgh's vision ("places of unraveling [are a] prelude to God shaping a new future for God's people") and have been intrigued by the notion that "God is out ahead of us" and that our core task is to discern what God's up to. The temptation to leverage our expert strategies to "fix the church" hasn't disappeared--not by a long shot--but a growing imagination for joining God in the renewal of all things is beginning to displace this deep-seated default, and that's genuine good news. Above all, Roxburgh's gift to the church in this moment is a practical resource for guiding the people of God into postures and practices of faith in the God who is once again leading the children of Abraham and Sarah into an unknown land. 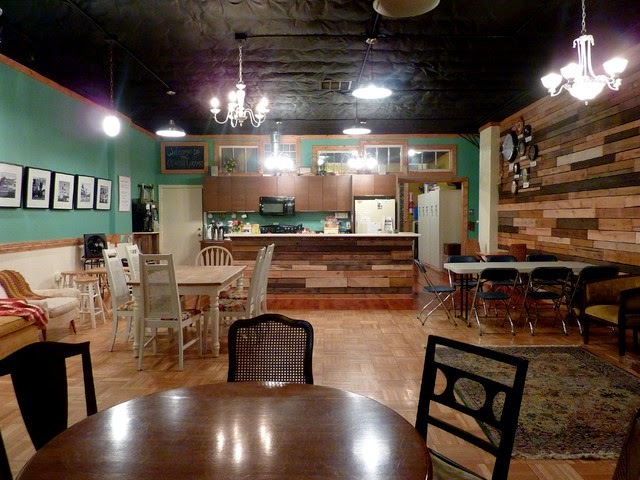 The images below are photos around our local context--Dubuque, IA. All quotes are taken from Joining God. In the midst of the decline of mainline denominations and the rise of the “nones” in the U.S. something surprising is happening. [i] Church planting is booming. According to Ed Stetzer and Dave Travis, the number of new churches started annually jumped from approximately 1500 in the late 1900s to 4000 by 2006. 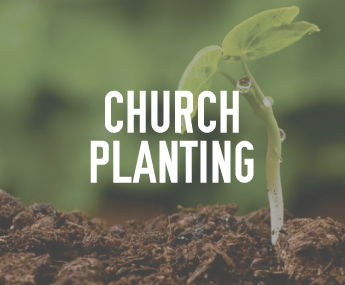 [ii] Such a spike is not only the greatest surge in church planting in the last century but Warren Bird claims it has yielded such a flurry of planting that the number of churches opened annually has outpaced church closures—a much more discussed and visible reality. [iii] This rising phenomenon calls for sociological study, not only to describe and explain its occurrence, but also to understand the factors influencing the vitality of these new congregations. 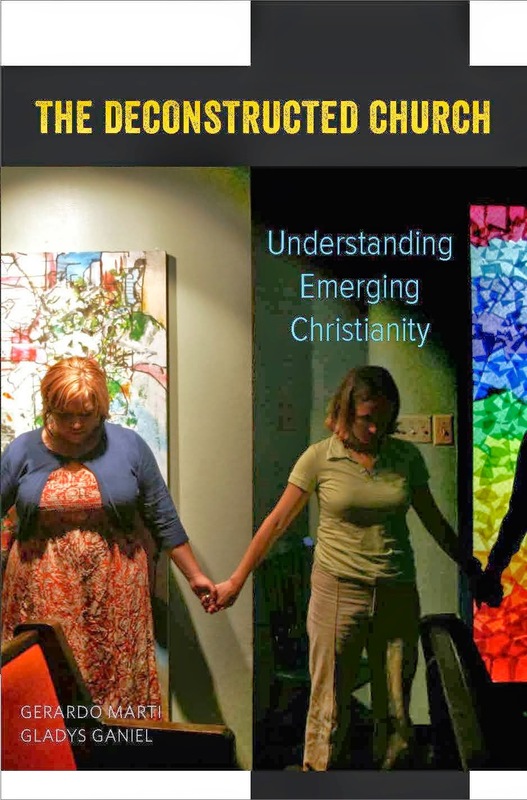 I have contributed to this needed area of study by seeking to bring insights from organizational and religious ecology perspectives to understanding the influences upon the vitality of new congregations and their networks. An organizational ecology approach “focuses on the influences of the characteristics of organizations and of the demography and ecology of the populations in which they operate.” [iv] Thus it explores not only the impact of internal factors such as the church’s attributes, but also of external ones, such as the existence and characteristics of other churches. 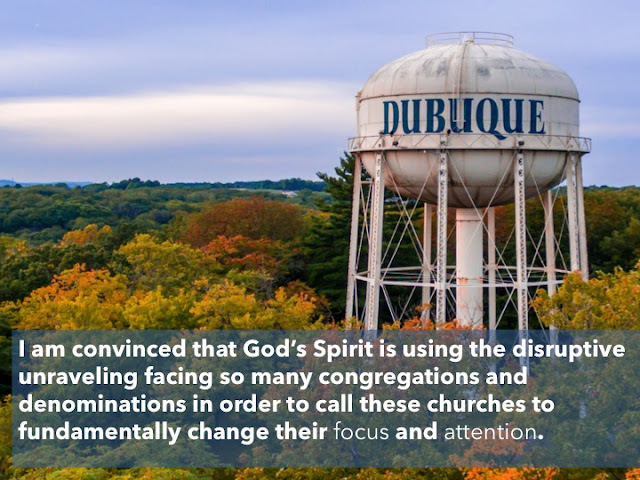 Animating this study, then, is the question: What are the most relevant ecological factors impacting the vitality of new congregations and church planting initiatives in the U.S.? In the final section, I employ the most relevant theories toward an analysis of Churches for the Sake of Others (C4SO), a new church planting initiative on the West Coast of the United States. Based on the factors identified as pertinent to new congregations generally, I highlight some of the features of C4SO that promise to be either liabilities or assets. My article, originally published in Witness: Journal of the Academy for Evangelism in Theological Education, v. 27 is available in its entirety here. [i] Mark Chaves, “All Creatures Great and Small: Megachurches in Context,” Review of Religious Research, 47(4) (2006), 329-346; Michael Hout and Claude Fischer, “Why More Americans Have No Religious Preference: Politics and Generations,” American Sociological Review, 67(2)(2002), 165-190. 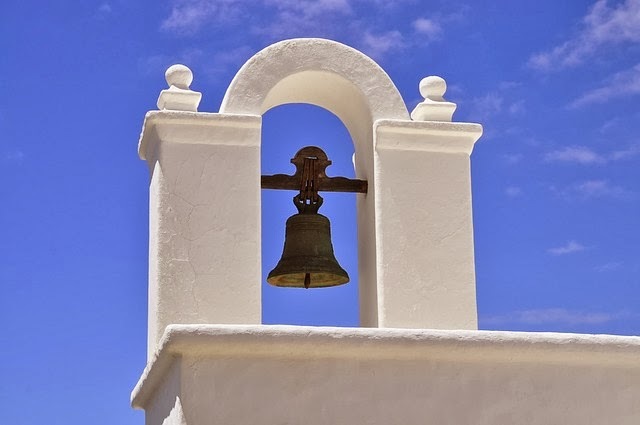 [ii] Ed Stetzer and Dave Travis, “Who Starts New Churches? : State of Church Planting USA” (Leadership Network, 2011), 2. [iii] Warren Bird, Warren, “More Churches Opened Than Closed in 2006,” Rev Magazine (August 2007), 68. [iv] Michael Hannan, “Ecologies of Organizations: Diversity and Identity,” The Journal of Economic Perspectives, 19(1) (2005), 54. 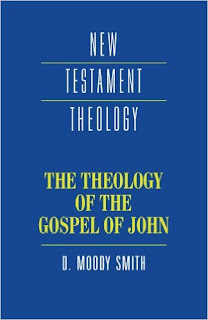 D. Moody Smith’s The Theology of the Gospel of John is a topical, but unquestionably scholarly, survey of Johannine theology. A brief summary of the content will set the stage for the more detailed review to follow. 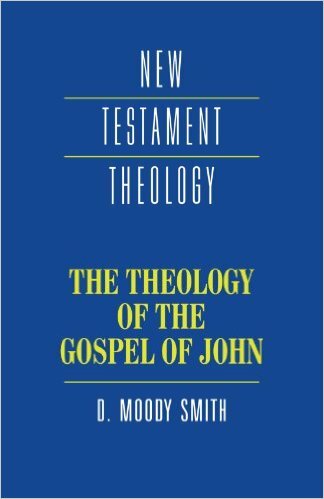 Smith begins, in the Introduction, by stating the most obvious, but interesting of John’s uniqueness, “John more than any of the other Gospel writers deals with theological matters.” That is, John while maintaining narrative form, includes a fair amount of theologizing; the kind of stuff more familiar to epistles. Issues of authorship and origin are treated only briefly enough to assert they are not central to the aim of this book. What is central is the understanding that John makes us “witness to a critical stage in the relationship between Christianity and Judaism.” What was once one entity, is now in the early stages of clear distinction. In closing, Smith prepares his readers with his perspective that given this crucial moment, nearly all the themes of John ought to be considered in this light. In addition, other New Testament thought will be considered, for contrast and for continuity. May 21st, 2011. Cataclysmic earthquakes rocked the globe, loved ones everywhere suddenly disappeared, unmanned cars and planes wreaking havoc, massive devastation, death, and destruction, riots and panic in every major city. It was the end of the world. Or, at least, it was supposed to be. So said Harold Camping, and his followers. 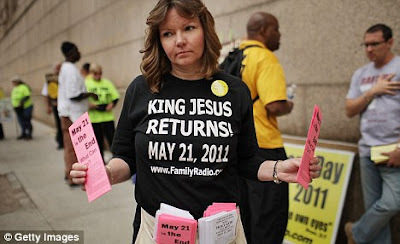 With 5 million dollars worth of advertising, they plastered billboards and RVs across the country, announcing the definitive date of the impending Judgment Day, May 21st, 2011. I listened to the media coverage of all this with great interest, not, of course, because I believed Camping’s prediction, but because I wanted to hear more about the people who did. Many of them had left their respectable jobs and blown their life savings in order to join the campaign to spread the “good news” of the end of the world. But especially, I wanted to understand what it was like for these people to believe with such certainty that God was going to show up in an undeniable, powerful way, and then to have that hope evaporate when, the next morning, the sun rises, and it is just another day. What do you do on May 22nd? Hold that thought and take a look at Luke 1:26-38. The Christians that Luke is writing his gospel to are stuck in a moment, a May 22nd moment. These are second generation Gentile Christians converted and living in an environment full of apocalyptic predictions, full of anticipation about the end of the world. And they were part of it, they had once been sure they were going to live to see the end, Christ coming in power to reign on the earth. These words are unmistakable echoes of the what the prophets of Israel had foretold: a political messiah who would throw off the oppressive empire, lead Israel back to global prominence, and the whole earth would look to Jerusalem from which God would at long last bring peace to the earth. But for the Christians to whom Luke was writing, these promises must have rung hollow. After all, it was May 22nd. The Son of Mary had come and gone. Sure, he’d resurrected and ascended, and Pentecost had come, and the gospel had spread across the Roman world. But all that had happened more than two decades ago, and still, these glorious promises were unfulfilled. Jesus hadn’t returned to sit on David’s throne. While, Jewish zealots had temporarily taken back Jerusalem from Roman rule, the result in AD 70 was the utter destruction of the temple which was supposed to be the seat of Christ’s coming kingdom. These revolutionaries had been brutally crushed and Roman empire was as powerful and exacting as ever. Besides, the Jewish people had rejected Jesus as the messiah. Leaving the church as nothing more than collection of small bands of bedraggled believers, bracing themselves against the Emperor’s demands of full allegiance and enduring opposition from the Jewish faith that gave them birth. This reality was a far cry from the vision which compelled the first Gentile believers. Leaving them anxious, confused, and aimless. Too many times they had admonished themselves to be patient, finally they were caving into the nagging sense that all hope of reigning with Christ in an earthly kingdom had faded long ago. What now? What do you when May 22nd comes and the kingdom doesn’t? These are the anxious questions circling around the community for which Luke writes. Denominations are in decline; the Nones are on the rise. Seminary enrollment is down, and seminary graduates struggle to get jobs. Churches are being sold and converted into apartment buildings and furniture stores. So-called successful churches are racked by scandal and reek of corporate culture and crass marketing strategies. 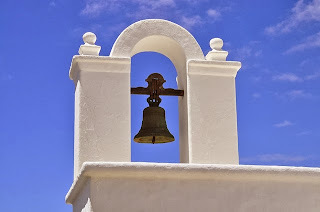 The church suffers from schism and compromise within and ridicule and dismissal without. Ask young people what they think about Christianity and the words that come to mind are judgmental, hypocritical, intolerant. 1500 years in the Western halls of power, and this is what we have to show for it? The time of our influence is quickly fading. What now? What are we to do as the kingdom of Christendom slips away? Luke’s purpose in this text is to invite his readers, past and present, to join Mary on the journey she makes from this place of anxiety. In this text, we watch Mary as she moves from anxiety, to attention, and finally, to availability. And Luke invites us, too, to move from anxiety, to attention, to availability. Gabriel’s words to her are reassuring: “Do not be afraid, Mary; you have found favor with God.” And he proceeds to announce that she will conceive, and bear a son that will rule in David’s throne forever. 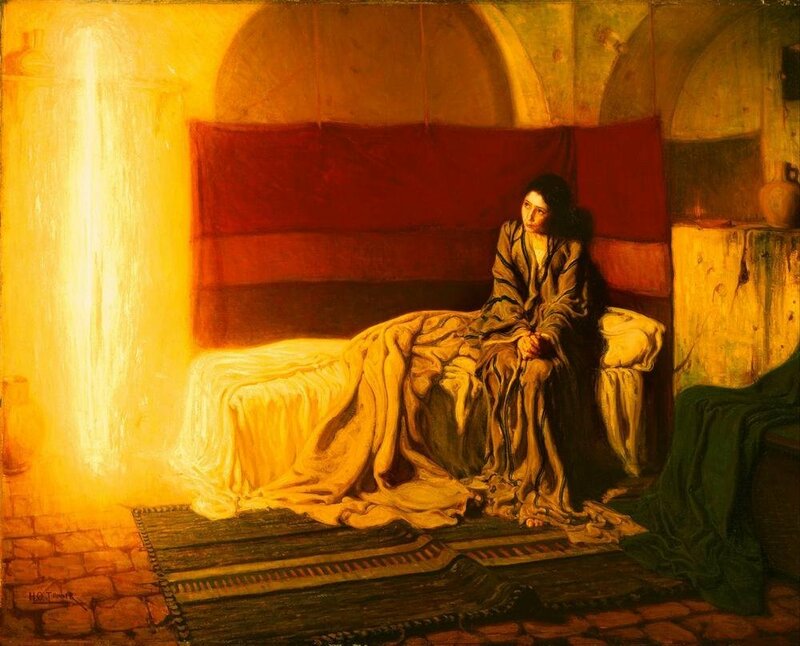 But when Mary asks “How will this be, since I am a virgin?” she is not doubting Gabriel as Zechariah had several verses earlier; instead, she is humbly acknowledging her own inability to make this happen—while turning her attention back to God. How will God do this? How will this be? Luke wants his anxious readers to make a similar move from anxiety to attention, and in order help them do this, he puts Mary’s anxious thoughts immediately alongside the great source of anxiety for his readers, the eschatological promises that Christ will sit on David’s throne and his kingdom will never end. Luke’s audience had once been sure they were going to live to see this, but every morning the sun rose, and it was just another day, and each passing day was one more reason to doubt that God would ever fulfill these promises. What now? Luke’s readers resonate with Mary’s anxiety, but they can also resonate with her humble self-assessment. Just as Mary is unable to conceive on her own, Luke’s readers feel powerless to bring about the realization of these eschatological promises. We’re just a few Christians scattered here and there. The Romans think we’re seditious and the Jews think we’re heretics. We’re really in no position to make these promises come true. We’re in no position to build this kingdom. Moving from this place of anxiety, Luke invites them to wonder with Mary, “How will this be?” To turn their attention away from their circumstances, to give up their preconceived notions of what it will look like when the kingdom comes, and to turn their attention to God…How might God do this? What might this look like? Maybe it’s happening right now, where might we see it…HOW will this be? We, too, are invited to move from anxiety to attention with similar questions. Our institutions and influence may be in decline, but where might the kingdom be breaking in? What might this look like? Where might we see it? How will this be? This question is a game changer: How will this be? The Holy Spirit will come on you, and the power of the Most High will overshadow you. So the holy one to be born will be called the Son of God. 36 Even Elizabeth your relative is going to have a child in her old age, and she who was said to be unable to conceive is in her sixth month. 37 For no word from God will ever fail. The words are so familiar and so poetic, it is easy to miss their significance. This is a story about getting pregnant…but its not one of those stories! Nothing like the dramatic mythical tales of the Greek gods coming down to spend a night of passion with the beautiful women of earth. This will be subtle. Like a shadow. Like a breeze. When the incarnation began in the womb of Mary, I’m not sure she even noticed. Conception is like that. For most of human history, it has been impossible to confirm that it has even happened until weeks after the fact, when the mother begins to experience its affects – tiredness, hunger, morning sickness, and later, a growing belly, and, in my wife’s case, swollen ankles! This is why pregnancy tests are a $220 million dollar industry in the US. It is why we’ve developed advanced, early-detection, first-response, sure-predict pregnancy tests, all because it’s hard to tell. Conception is like that, and the kingdom coming is like that, too, suggests Luke. One day the kingdom will come in its fullness, and it will not be subtle, but until then, we must to learn to pay attention. It is because of this faithful question that Mary is given a sign of the in-breaking of the kingdom. “Even Elizabeth your relative is going to have a child in her old age, and she who was said to be unable to conceive is in her sixth month,” says Gabriel. Nothing earth-shattering. No cataclysm. No army of angels descending from heaven. But this is not just another day. Something is definitely afoot. Maybe today isn’t May 22nd after all. Catch a glimpse as historic churches are drawing on the best of their traditions, contextualizing the gospel in new ways; like Beer and Hymns: a Christian Church in Portland, OR that revives the old fashioned hymn sing and puts those bar-tunes back in their original settings; like Community Dinners: a 90-year old church Pentecostal that moved out of its building and into community centers across the city of Seattle where it hosts agape feasts as dinner churches 5 nights a week. Young people committing to lives of radical discipleship and witness among their peers, and rediscovering ancient Christian practices like the catechumenate and lectio divina. Mature elders, determined to pass on their legacy and wisdom, modeling time-earned trust in the faithfulness of God. Renewed interest in Christian social engagement: Christians caring for creation, combating human trafficking, reflecting on the arts, rediscovering vocation in the workplace, leaving behind political ambitions and simply caring for those in need with no strings attached. Young people moving beyond cynicism, eagerly looking for ways to serve. Impassioned voices calling out for gender pay equality and livable wages. Consciousness about climate change translating into changing life-habits and development of forms of renewable energy. Nothing earth-shattering. No cataclysm. But something is afoot in our day. 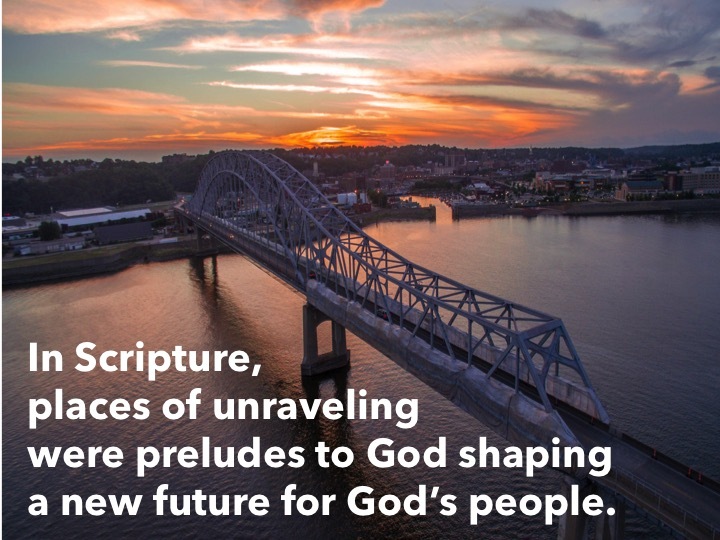 Our institutions may be in decline, but the kingdom is on the move. In the twilight of Christendom, something new is dawning. And if we pay attention, we’ll start to see it. Mary's posture of attention leads her ultimately to a declaration of availability. In response to Gabriel’s assurance, and the sign of Elizabeth’s pregnancy, she announces her willingness to participate in this surprising work of God. This posture of availability is ultimately where Luke wants to lead his readers. Being available for the Lord’s work, however, does not mean joining a campaign to build the kingdom. It’s not about signing up to fight for a resurgence of Christendom. That is not how the kingdom comes, and that is not what the Lord’s servants are invited to. Indeed, when Jesus spoke of the Kingdom of God, he never implored anyone to build it or to extend it. Instead, he invited people to enter the kingdom, and to receive it as a gift. All of this is God’s doing. 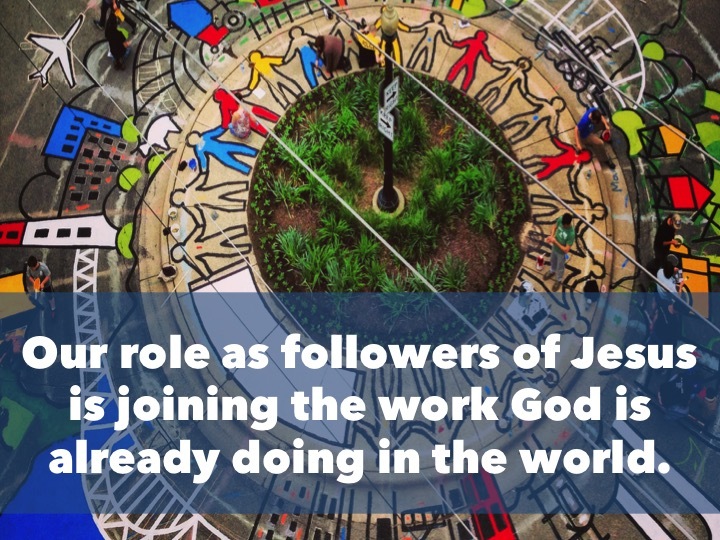 This is important for us to take to heart, especially those of us who are passionate about being “missional.” For many, the call to be missional comes through as an appeal for Christians to muster their strength and to get to work, to get out there and bless the world, to fight for justice, to help the poor, to share the gospel. All good things, of course, but sometimes in our eagerness to serve the kingdom, we rush out ahead of God and find ourselves lacking the empowerment needed for the work. This response, while zealous, is not what Mary models for us. 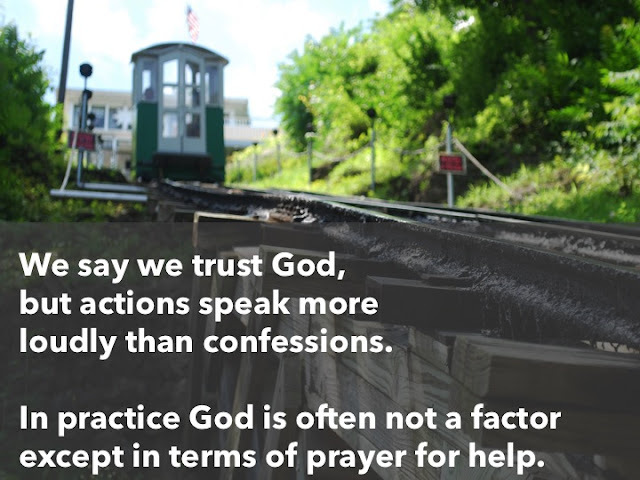 In her journey from anxiety, to attention, and finally to availability, she invites us to recognize that this mission is all God’s doing, to trust that God will do it and in that humility to learn to pay attention and make ourselves available to participate in the surprising work of God. My daughter Ginny is five; she’s about three feet tall with dirty blond hair and a sweet and spunky personality. During Advent two years ago, we brought out the Nativity set like we do each year. Except this was the first year she really began to get into it. She had a blast playing with these Little People characters. Some of the scenes she created with them were, shall we say, nontraditional. OK, they were probably mildly heretical; I’m pretty sure I overheard the angel putting Jesus in a time-out. A couple nights each week for her bedtime story we’d sit down together with all the characters and act out the traditional Christmas story, with the angel, and Elizabeth, and the shepherds and the wise men and Mary and Joseph. Well, a few weeks of this and finally it was Christmas eve. We turned off the lights, plugged in the Christmas tree, had our annual fondue dinner and before we opened presents we asked Ginny if she’d like to pray. To our surprise, she did want to say something. And these are the words she said. And then you find Jesus lying in a manger. My wife and I looked at each other and I said proudly, “Pretty good theology for a three-year old.” She smiled and shot back, “Or a 33-year old.” So, lately, whenever I feel the pull into anxiety over the state of the church, I think of Ginny’s simple prayer, and I let it remind me: Pay attention, Chris—God is strong. God is also patient. God does surprising things. Then you find Jesus…lying in a manger. And that is how the kingdom comes. The bit of buzz in Seattle around my research into church planting in the city led to this hour-long interview with Andee Zommerman, host of the Rose City Forum in Portland. The show has recently hosted such guests as Doug Pagitt, Christian Piatt, and Rachel Held Evans. The conversation ranged from the nature of religious life in the Pacific Northwest to the theology behind "third place" approaches to Christian ministry. 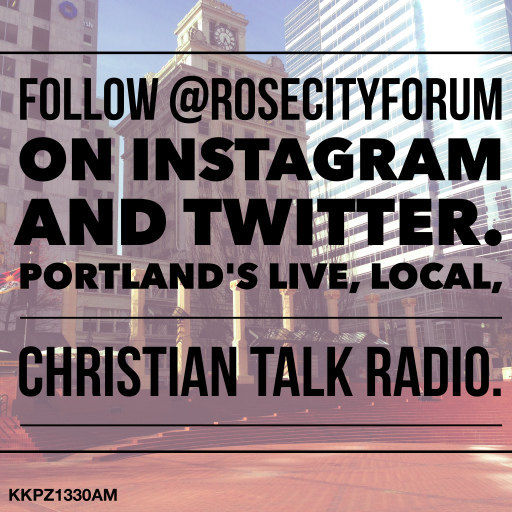 You can listen to the Rose City Forum interview here. Find 5/4/2015. 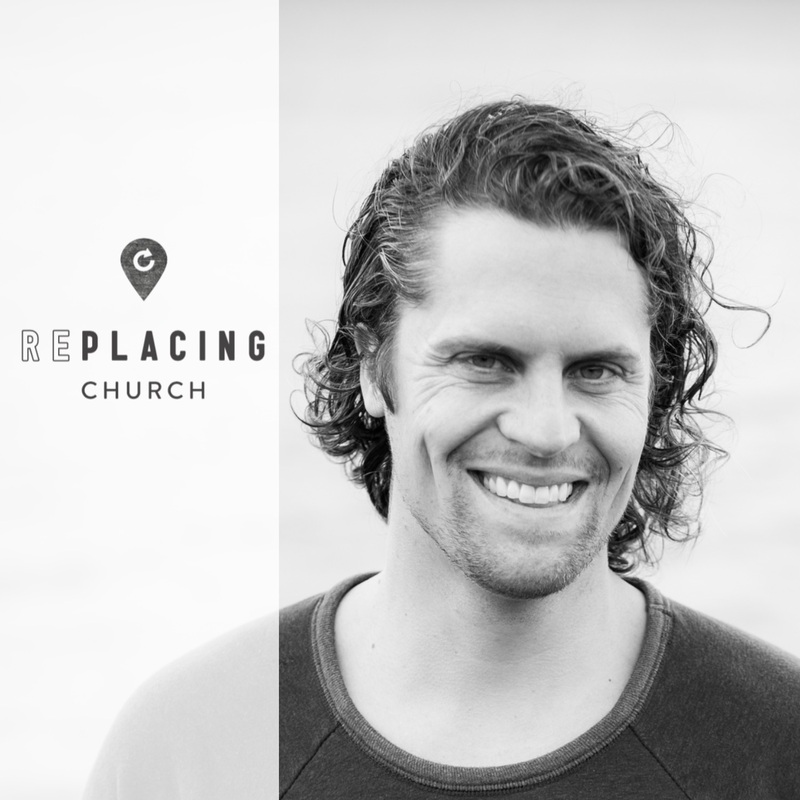 If you're interested in learning more, listen to my interview on the RePlacing Church Podcast with Ben Katt here. Or you can check out King 5 News coverage of my research and several churches included in the study here and my interview with Marcie Sillman, of Seattle's NPR affiliate, KUOW, here. I have to admit, I was a bit surprised when I got an email from NPR's affiliate in Seattle (KUOW) asking about my research on church plants in Seattle, and what it suggests about the future of church in the urban, American context. The interview with Marcie Sillman was a blast, and it was a privilege to get to tell a different, more hopeful narrative than the dominant one these days about religious decline. I'm not disputing that the numbers can tell that story, I'm simply pointing out that decline, death, and disaffiliation aren't the only thing happening. You can listen to the 5 minute interview here. 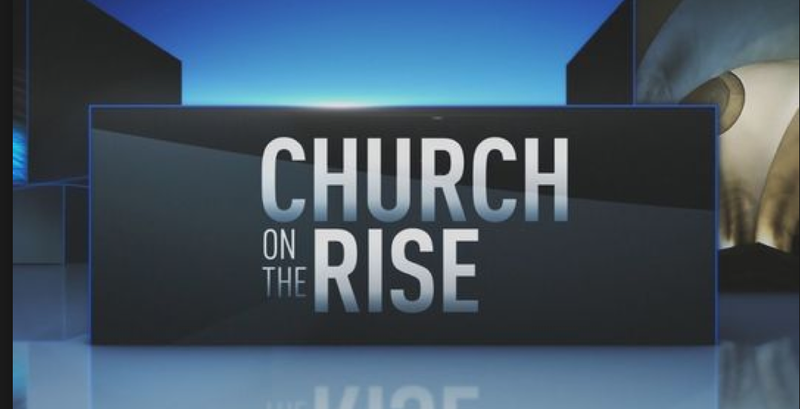 If you're interested in learning more, you can check out King 5 News coverage of my research and several churches included in the study here and an extended interview on Portland's Rose City Forum here. 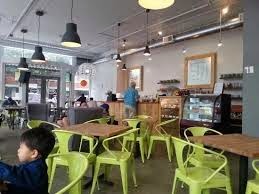 This Holy Week, King 5 News in Seattle, decided to do a series on some of new church plants in Seattle that have been the focus of my dissertation research and writing, including Community Dinners, Vona, All Saints, and Awake. 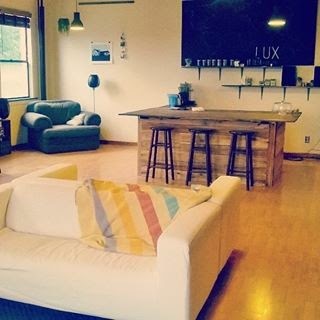 I was delighted to be able to share some of what I've been learning about the context with Alison Morrow, and even more pleased that they've been lifting up how important service to the community is for many of Seattle's newest churches. You can check out their coverage below. If you're interested in the findings of my research, I'll be rolling some of it out over the coming months here on JesusDust, so feel free to subscribe and/or follow me on Twitter @chrisbjames. You can also listen to my interview on NPR's KUOW here (5min) and on the Rose City Forum here (50min). Check out the map of New Seattle Churches here. 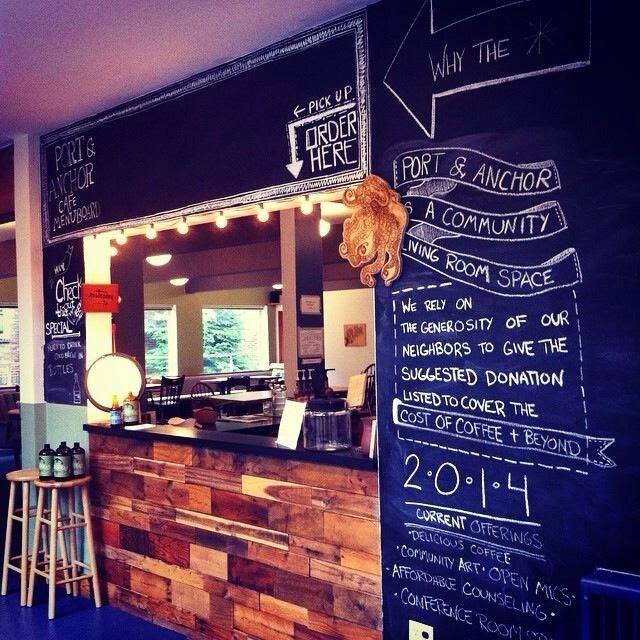 At least 105 new churches have taken root in Seattle, WA since 2001. Explore the churches on this map I created which lists websites, Facebook and Twitter pages, denominational identity, and founding date. 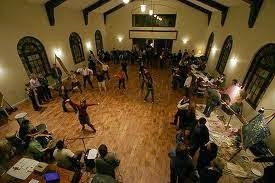 To learn more about the New Seattle Churches Project, follow me on Twitter for study findings @newSEAchurches. See King 5 News Coverage of New Seattle churches here. Hear NPR's KUOW interview with me here. You can read the feature article in Seattle Met Magazine here. The Emerging Church Movement is here to stay. So say researchers Gerardo Marti and Gladys Ganiel in their new book, The Deconstructed Church: Understanding Emerging Christianity. I'm looking forward giving it a careful read and drawing on their research as I reflect on my study of New Seattle Churches. For more of their findings, check out these videos in which Marti defines ECM and discusses its demographics, distinctive practices, and the role it plays as a "last stop" for those on the way out of Christianity. Below, I've also included excerpts from an interesting interview with Marti and Ganiel. 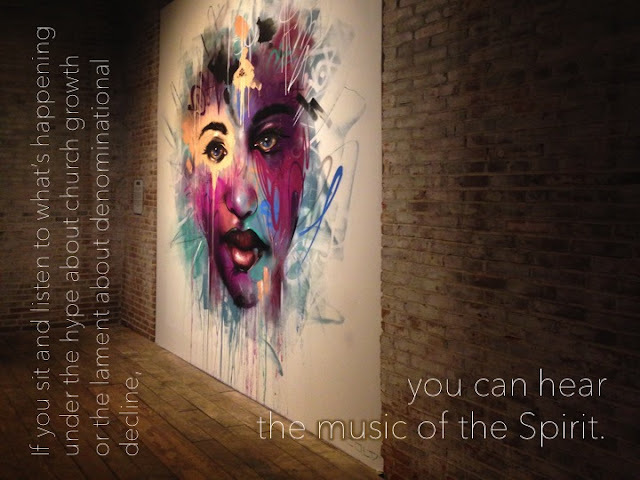 What practices can sustain missional practice and spiritual vitality among church planters? Taking cues from Ignatius of Loyola, who gains authority by virtue of the missionary order he founded, as well as contemporary missional practitioners, this article proposes a rule of life for a church planting order that addresses the need for a foundational vision of God’s love and invitation to mission, structures life-giving fellowship with others and regards further spiritual practices and particular missional activities as best determined in community and targeted to the growth needs of the individual and the character of the ministry context. Find this article online at the Journal for Missional Practice, an exciting new peer-reviewed journal for academics and practioners.